The article caught my attention as only the days before, I had been going through an experience of really witnessing and allowing each emotion I felt to rise, be named, be recognized and to see where it went. This may not sound much different from any of us ‘feeling’ our emotions, but the part I left off was, I allowed these emotions to arise without a story attached to why I was feeling this way. So now the challenge is, can I have the frustrating experience behind the slow driver without the story attached? To just completely feel and allow the feeling of frustration to exist, without blame, projection or some other form of wanting something outside myself to change so I don’t experience the emotion. Do you think this is an easy experience? 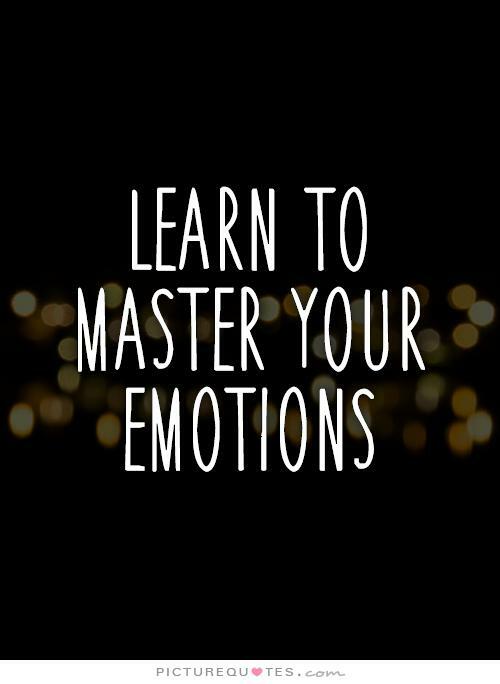 Why is it so challenging to just be with our emotions? Dr. Robert Firestone, has a theory of human behaviour, known as Separation Theory, he states that the core conflict for all human beings is whether to live a life of feeling or to attempt to suppress our feelings in an effort to block out pain. So if we fall into the later categories, and attempt to suppress our feelings so we don’t feel the negative emotions, this behaviour will also lead us to an inability to feel the positive emotions. We all know life has ups and downs, good days and bad days, and that there is an endless world of experiences out there that we feel different things about, depending on our perspective and also mental health at the time. If we are to make sense of our current reactions to life, we must be willing to recognize and even explore our emotional landscape, to understand ourselves to a fuller extent. Sometimes we find in our quest for healing, that we enter the Self Help world of how to change our emotional state rather than accept or allow the emotion that is there. This is a useful step, but it seems to still be an avoidance strategy of sorts, encouraging us to move away from ‘bad feelings’ in order to try to stay in a constant state of ecstasy and joy. Positive affirmations is another good intention, yet research has shown that repeating affirmations can create contradictory thoughts in those that already have low self-esteem, which would be the group working with the affirmations in the first place right? 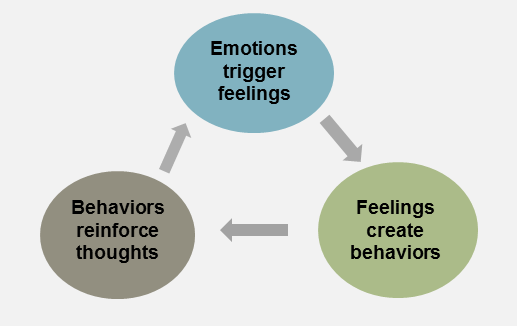 I feel it is important to point out that feeling our emotions is very different from allowing the emotion to rule our behavior. I have experienced first hand, the damage that can be done when a strong feeling about a situation has surged up within me, and my actions have been damaging to a relationship because I was unable to work through the emotion without lashing out at something or someone! If we can get to the stage of actually feeling even our most painful emotions in a healthy way, we are less likely to act on them in a destructive way. The thing is, most of us are not born with the ability to regulate our emotions. This is something that needs to be taught to us or modeled, starting with our earliest caregivers. If we were brought up around adults that were unable to process their emotions, and instead we witnessed outbursts in a variety of ways, then it is highly likely that we ourselves will also deal with our emotions in this fashion. So how do we begin the process of utilizing our emotions to their potential, rather then allowing them to take us on a ride of reactivity or even continue to attempt to control them? Important to be able to know when we are actually feeling an emotion that we are denying or avoiding. It could be a sensation in our body that we notice, a stream of negative thoughts about a situation, or just a general sense of unease. The next challenge, once we have an awareness of the emotion, is to allow it to be exactly what it is. Understanding if we have placed rules or expectations on our emotions, maybe we have said to ourselves we are ‘not allowed’ to feel a certain emotion. This is the part where we let go of judgments of ‘good’ and ‘bad’ emotions, and actually become curious and open to what we feel without any action. Regulating our breath in this stage assists our nervous system to cease firing neurons and stories we have about the emotion, allowing us to remain as steady as we can by breathing with the experience rather then fighting it. Notice what situation is causing you to feel the emotion rising, and then find ways to support yourself through the effort of not reacting along with your emotions. If your feeling hurt or angry, work at not building your reason for why you feel the way you feel, remember, this goes back into identifying with the emotion rather than allowing it to just be there. By justifying our emotions, we give them stronger legs to stand on, and more convincing reason to keep them around and alive within. Emotions shape every area of our life, so when we can open up and feel our emotions fully, we gain new insights and awareness into ourselves. Usually it is only after we have fully experienced the emotion, we have meaningful shifts in our perception of ourselves, which may have been impossible to realize without the experience of our emotional realm.